Whilst traditional family meals aren’t completely dead, our hectic lifestyles are resulting in 24/7 snacking. But, we’ve also become more nutrition savvy and now want a snack that strikes an angelic balance between nutrition and tastiness. So what is that ideal on-the-go-round-the-clock snack? Well, it’s just arrived on the shelves of major retailers in South Africa. And, it’s our top pick; whether we’re looking for deliciously nutritious school or office lunchbox treats, a pick-me-up to beat the mid-afternoon office slump or a power snack for the gym bag: the scrumptious Frusli chewy cereal bar. 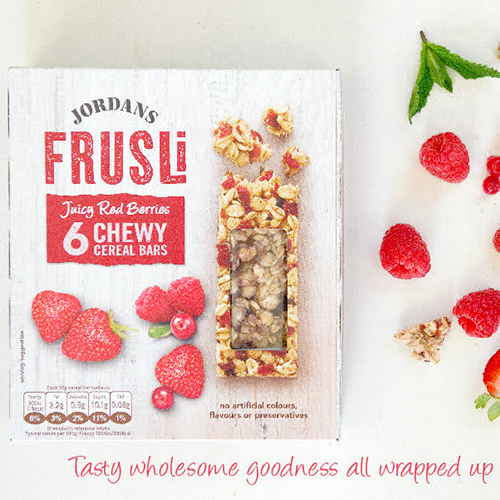 Staffords Bros & Draeger, leaders in fine foods in South Africa, is delighted to introduce the Jordans range of Frusli cereal bars into South Africa. We love the natural ingredients in the brand new Frusli cereal bars: wholesome whole grain oats, dried fruits (pieces you can actually see! ), nuts and seeds that are processed as little as possible. You will feel the benefits of these ‘real food’ ingredients that provide natural energy, rich in nutrients. 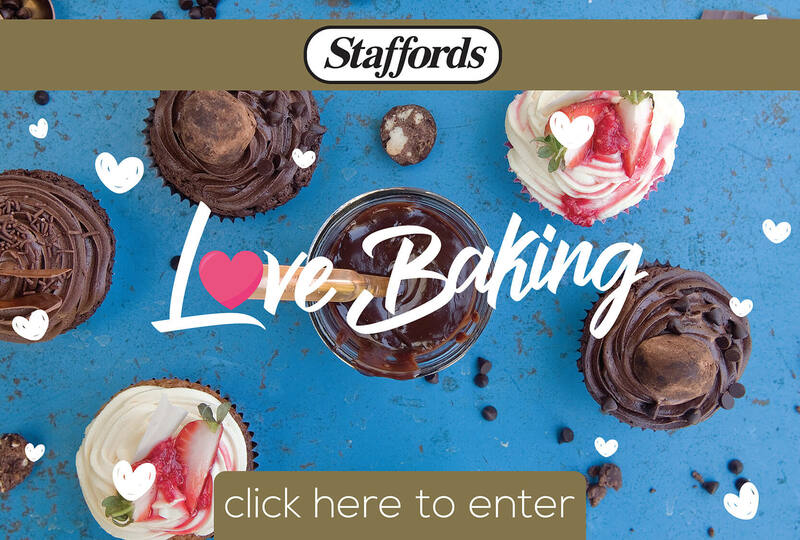 Once you discover their yummy goodness we have no doubt that you’ll love them too! Frusli cereal bars are all about balancing natural wholesome goodness with the delicousness of wholegrain oats, fruits and nuts. Given that dried fruits contain naturally occurring sugars; and oats, nuts and seeds all contain naturally occurring oils, products will never be entirely sugar or fat free but they will always have holistic nutritional benefits. However, no salt or anything artificial is ever added. Jordans Juicy Red Berries Frusli Bar: handfuls of zingy cranberries and raisins, al mixed up with British wholegrain oaty awesomeness. Wholegrain oat cereal bars with strawberry & blueberry infused diced cranberries, raisins and strawberry & raspberry flakes. Jordans Juicy Blueberries Frusli Bar: deliciously creamy British wholegrain oats baked with sweet blueberries, sharp, zingy cranberries and plump juicy raisins. Wholegrain oat cereal bars with blueberry infused diced cranberries, raisins, fruit puree pieces and dried blueberries. Jordans Hazelnut and Raisin Frusli Bar: deliciously creamy British wholegrain oats baked with crunchy hazelnuts and sweet juicy raisins, all packed into a scrumptious chewy bar.